Text messaging is one of the greatest communication technologies that ever happened. It is being enjoyed by the generations of today for easy communication via their cellular phones. It basically works by typing or inputting a message and sending it to the recipient's number. Text messages are sent instantly in real time. It is a cheap way of relaying short messages rather than giving the person a call. The popularity of text messaging fast grew globally because it is proven effective. Because of this, people continued to seek new ways in communicating via text messages. So now, other than the handy phones we use for text messaging, you can also do so with your personal computer. The advantage of this is using the keyboard to more easily key in your messages. To avail of free text messaging, you go online in the internet and visit websites offering these free services. There are many websites in the internet offering free text messaging services. It is absolutely a good alternative to mobile phone texting with surcharges. Websites offer such free services to encourage a user to try their online facilities, like paying bills online via text. It also encourages downloading their games to your phone. Eventually, it encourages a user to register with them. 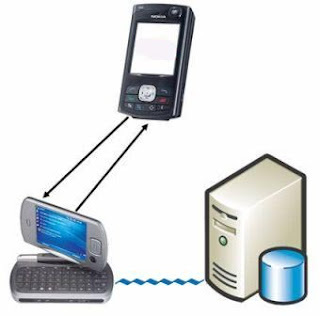 Instant Messaging (IM) platforms also offer free PC-to-phone texting to reach a broader base and expand their services. The more users visiting a website, the more attractive it gets to advertisers. The same is true for other websites offering the service. Free texting services drive primary and secondary traffic to various websites. It's a great marketing tool. Free texting foster business relationships between dotcoms and your wireless carriers. It brings innovative text features like traffic updates and news feeds right to your cell phone's message inbox. Hence, using these free texting services actually help the dotcoms and phone companies make more money. Enjoy the freebie and use it wisely. These free text messaging services online act just like your mobile phone. It also has a phone book that stores your contacts. It can also send group messages or picture messages just like your cell phone. Keep in touch with loved ones abroad. Time differences and work schedules make it difficult for families to talk regularly. Emails are great if they work in an office and are online everyday. But for nurses, drivers, salon attendants and others who don't get 24/7 internet connection, text messaging is the way to stay connected everyday. It's fast, easy, and economical. Advertise yourself or your business. Text campaigns are effective movers. Message forwards spread like wildfire. And because it's free, your only investment is the time it takes to type in a message, key in phone numbers and hit that send button. It's a wonderful technology that's readily available. It won't cost you anything. Try it. Use it. You have nothing to lose but everything to gain from free texting services online. However, always remember to use this great technology responsibly. Avoid using it to send bad jokes or harmful messages.